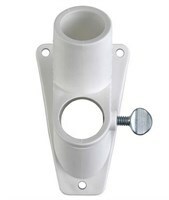 Nothing beats the exceptional look and quality of our Window Flag Holder. Among the finest made, you will be provided with great satisfaction and long lasting enjoyment. Why not pamper yourself or give a loved one a Windwo Flag Holder to show them how much you care. The Flag Holder will make the perfect gift for any animal lover. Shop with confidence, because all products come with a 100% customer satisfaction guarantee. Perfect for display most any garded flage. 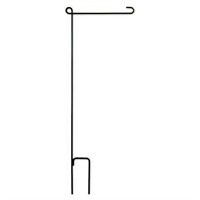 This garden flag holder is made of durable wrought iron and measures approximately 18" x 39.5". 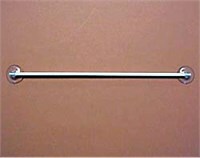 This 5' wooden flag pole is perfect for mounting most flags up to 4' in width. 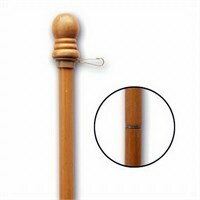 The pole is made of durable varnished white pine and is 1" in diameter.